This item has been discontinued by the manufacturer and is no longer available. It is listed here for reference only. We do still have a limited selection of parts available for this mask. Click the link below for the parts page. 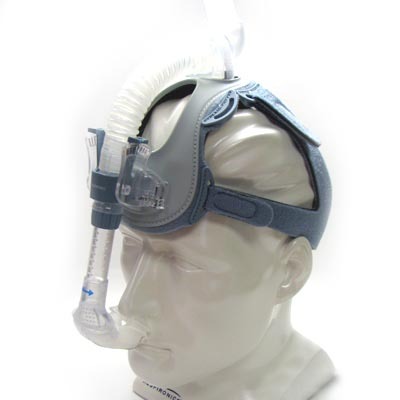 Parts for the ComfortLite II CPAP mask system. I love this gear. I bought an extra for myself and one for my spouse who isn't comfortable with anything else but this style. I am really sad to see it discontinued. I don't know why because it doesn't leave face marks and it is adjustable to your face. Perfect fit and comfortable. 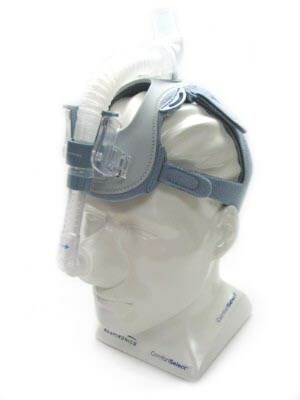 This is the only CPAP mask, nasal pillows with over the head strap,that I have been able to wear without problems. This was my first order from your company and I am very pleased with the merchandise, the price and the prompt mailing. I plan to do more business in the future. The least obnoxious head gear I have found. It's more likely to stay on all night. It does not feel like an octopus has attached itself to your face. I use the regular nose cover, not the pillows that stick into your nose. This Respironics product is wonderful! It works just as I thought that it would. It is so much better than the Puritan-Bennett Breeze. After having to buy a second Puritan-Bennett Breeze that eventually broke just as the first one did, it's nice to have a product that's engineered to last. In fact, it's a breath of fresh air!